Since Seattle has had a really long dry stretch, we’ve seen summer fruit later this season. Berries, for example have been enjoyed in abundance, to the point that we can eat them with every meal! 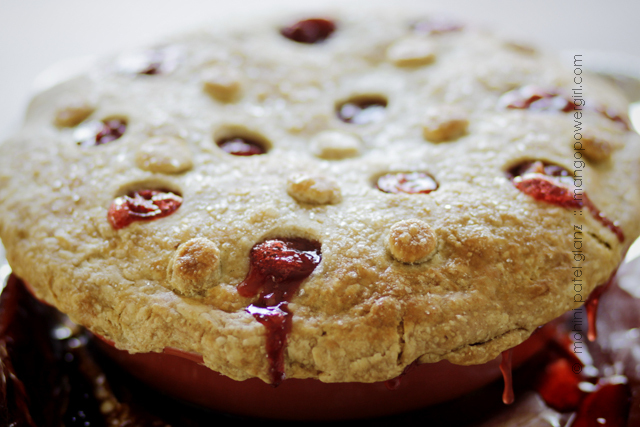 Well, I had honestly wanted to make a cherry pie, maybe from watching too much Twin Peaks & reading too many tweets from Agent Cooper, ha! 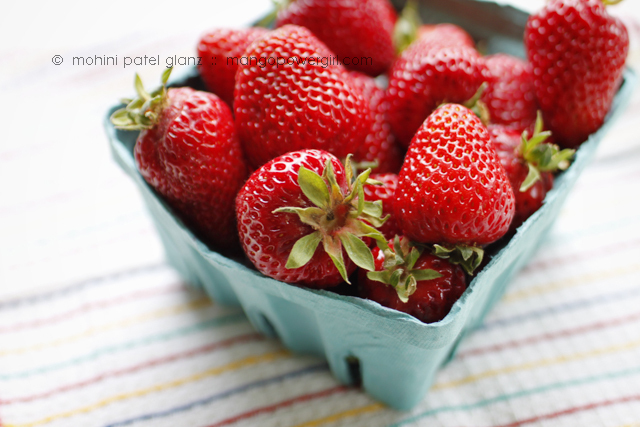 What we’ve seen a lot of at markets, though are these amazing strawberries. We’re #luckytolivecascadia, thanks all my Hawai’i peeps for giving me the idea for that hashtag! 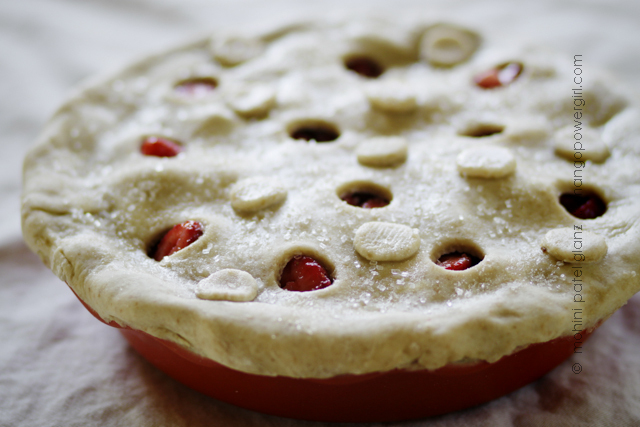 When I made the strawberry pie, it was probably the closest I’ve gotten to a traditional pie recipe, but still I strayed. I adapted this Martha Stewart Living recipe to what I had, i.e. just strawberries, a combination of two different whole grain flours, I used less sugar, no eggs, with a different starch, and very little lemon juice… alright so it is a whole different pie, but I believe in giving credit to the original inspiration, and it still tasted great! Strawberry Pie ready to Bake! Thanks Sharmila! 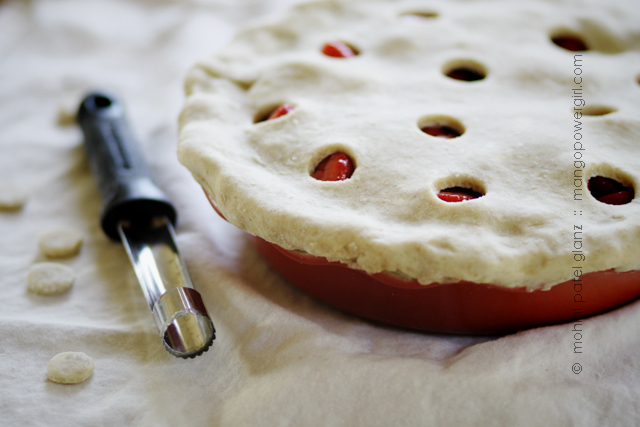 Such a timely comment right when I’m about to make another pie 🙂 I try not to look at this one as much or it makes me crave a summer fruit pie.